Every role contributes to the future of our university. 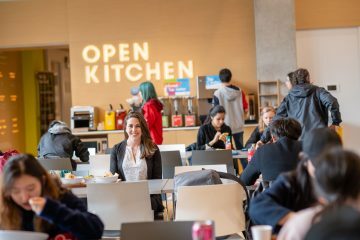 Get to know the people who make UBC. Share your voice and help shape our university into the place you want it to be. It is yours. Find out what your colleagues across UBC are working on – both at UBC and beyond. Whether you have a question for the President, suggestions for new ways of working, or would like to join a faculty and staff survey panel, there are a number of ways you can have your say.